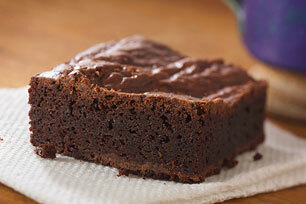 Our Easy Mocha Brownies are simply delicious. This 2-ingredient chocolate brownie recipe is sure to become a family classic. Prepare brownie batter and bake as directed on package, substituting coffee for the water. Prepare using prepared Maxwell House Instant Coffee. Prepare using your favourite chocolate cake mix, substituting coffee for the measure of water listed on the cake mix package.